Report on Croydon Clinical Commissioning Group(CCCG) meetings. There has been a spate of these meetings – with PWRA President Graham Bass at yet another, at the time of the committee meeting. Here it was hoped that there would be news of the Minor Injury Unit at Purley Hospital. Graham Bass asked the committee to consider a resolution in favour of the CCG’s Option 1 (assuming that this option includes locating the proposed GP Hub 3 at Purley Hospital). This was passed, although the final outcome depended on the outcome of the CCCG meeting that same night. There are many other meetings to come on this subject, with submissions from residents, Residents’ Associations etc being required in mid January. The 2016 PWRA AGM will be held in the evening of June 16. There will be a notice to this effect in the Spring issue of the PWRA Journal, due with members in mid February. The committee also agreed dates for its rgular meetings through 2016 and also agreed that there would be no meetings in January or August. Green waste collection: PWRA members had received a notice from Croydon Council that the free green waste collection was ending. The council has set up a means for residents to indicate their interest in a paid for green waste collection service – whether this will take place will depend on whether enough householders in the borough opt for this service to make it viable. Croydon Council Local Plan: the council is now consulting on strategic policies up to December 18. It was noted that the plan was a desire to increase the number of new homes in the borough from the original 27,000 to 47,000. However, land is only available for 31,765. And, it would seem, though the council’s document is not entirely clear, that at least 90% of these new homes must be affordable. The document includes just a few references to flooding, despite the fact that Croydon is the fourth worst area in the country for surface water flooding. The document also states that back garden development will be permitted where it meets the local character of the district. 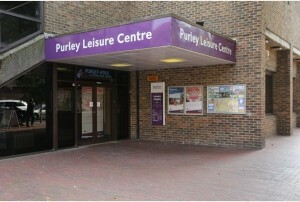 Specifically for Purley, the document suggests that the Leisure Centre should have no fewer than than 8 or 9 different uses including the leisure facility (note not a leisure centre, which could mean the developer could get away with not providing a swimming pool, which is of major concern) creative and cultural facilities, retailing, residential and a public car park. The plan envisages redevelopment of part of the main station car park on Whytecliffe Road. Cllr Donald Speakman said he and Cllrs Badsha Qadir and Simon Brew, would put in a submission to the Council stressing the importance of maintain employment and industry in the area. He would also stress that Purley wanted a proper, full-length swimming pool. Cllr Badsha Qadir added that it was important to preserve the town’s office/business accommodation and car repair garages. He also raised the question of inappropriate shop shutter designs. Badsha also wanted to identify roads inappropriate for house-to-flat conversions – he would also state the importance of protecting Purley town centre. Police: the previous night (December 2) the PWRA was represented at a public meeting held in Croydon with Sir Bernard Hogan-Howe, Commissioner of the Metropolitan Police Service and Croydon Borough Commander Andy Tarrant. Sir Bernard was forthright and sensible and avoided any corporate speak of about ‘targets’ and ‘visions’ to say nothing of ‘solutions’. Of interest to PWRA members is that news that the PCSOs (Police Community Support Officers) may not now be abolished. The fact that central government has not slashed the Met’s budget any further allowed Sir Bernard to consider their retention. He will make the decision on December 17 as to their long-term. Purley Business Improvement District: this had been the go-ahead at the end of November, with a budget of £130,000 a year.